The Tunica RiverPark is a perfect place to explore and understand the rich history of the Mississippi Delta and America's greatest river. Perfect for family outings or a romantic sunset walk, the RiverPark allows you to interact up close with the awe-inspiring beauty of the Mississippi River. Learn about the impact of the Great Flood of 1927, as well as see the river's natural inhabitants inside three large aquariums. This 2007 Mississippi Travel Attraction of the Year's grounds are rich with native wildlife and flora, and the stunning architectural features of the RiverPark Overlook provides breathtaking views of America's river. Built atop a ceremonial Indian Mound this 1896 home overlooks the surrounding Delta fields like a queen. Helen Johnstone Harris and the Reverend George Carroll Harris were the first owners of the house. Each Spring the Friends of Mont Helena present a drama that tells the tragic story of Helen and her first love Henry Vick of Nitta Yuma. During the rest of the year, the home is open for tours by appointment. Built in 1876 after the first courthouse on this site burned, this historic structure houses a complete set of County records. It's open air design is unique to courthouses built during this era. The anchor of Hernando square, the historic DeSoto County Courthouse was built in 1942 after the previous French Castle courthouse burned in 1940. The courthouse features an impressive series of murals that circle the interior rotunda depicting explorer Hernando DeSoto's travels along the Mississippi River. The murals were painted in 1903 for Memphis' historic Gayoso Hotel and given to DeSoto County in the 1950s. They have since been restored three separate times and have been a consistent point of interest for cultural heritage travelers to the Mississippi Delta region. Dockery Farms- Bolivar/Sunflower County Line- As B.B. King famously said.. “You can say it all started right here.” Dockery Farms- often referred to as the “Birthplace of the Blues” was a working farm known as a gathering place for famous bluesmen after a long week’s work. Such famous names as Charley Patton, Pop Staples, Henry Sloan and more were known to play at Dockery, and went on to influence some of music’s biggest performers. The birthplace of James Earl Jones is located in Arkabutla, at the end of James Earl Jones Road. 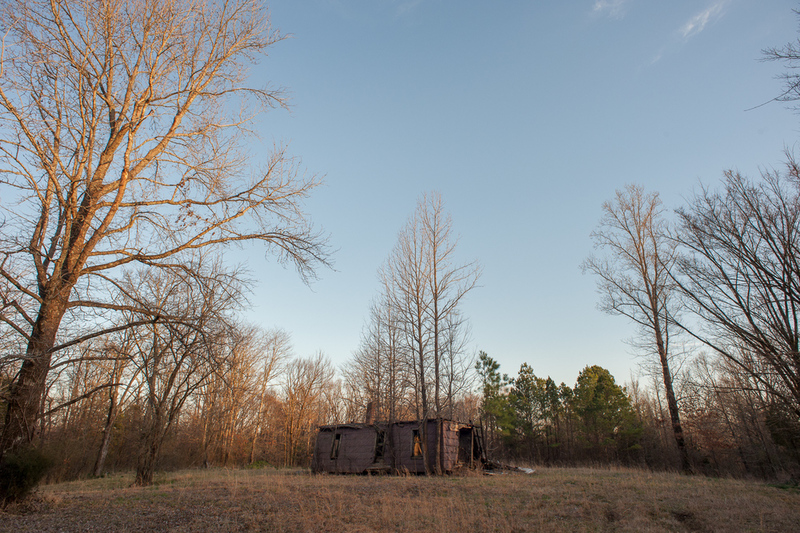 Otha Turner's home is located a few miles east of Senatobia on OB McClinton Road. The Mississippi Delta is known as the birthplace of the Blues, the Civil Rights Movement, and a plethora of famous people. Located 40 miles south of Memphis, Tate County features the birth homes of a Broadway-Hollywood actor, a Bluesman, and an American historian. Born in Arkabutla, award-winning African American actor James Earl Jones is perhaps most widely known as the voices of Star Wars film series' Darth Vader and Mufasa in Disney's The Lion King. Otha Turner was a living link to rural Blues and fife-and-drum pre-Blues that extended well into the 19th century. Turner's friends and family continue to host a festival in his honor each August at his Gravel Springs Road home located southeast of Senatobia in rural Tate County. Finally, Yale-educated Dumas Malone was born in Coldwater and is considered by many to have been the greatest expert ever on the life and work of Thomas Jefferson. Listed on the National Register of Historic Places and the Southern Literary Trail for native son Stark Young, downtown Como is known for its unique charm, downtown eateries (including the world famous Como Steakhouse), bed & breakfasts, MS Blues Trail markers, historic churches, stately homes, locally owned shops and the nationally recognized Emily J. Pointer Public Library. About 45 miles south of Memphis just off I-55, Como offers a chance to get away from it all and relish the feeling of a small town friendly atmosphere. The Tate County Heritage Museum tells various aspects of the county's history, including the story of how the town of Coldwater had to be moved - churches, houses, and water tank - to make way for the creation of Arkabutla Lake. The museum is located in the Tate County Courthouse, a Mississippi Historic Landmark listed on the National Register of Historic Places. The courthouse is constructed of locally produced brick and is the oldest continuously used courthouse in the state of Mississippi, circa 1875. Founded in 1836 along the Mississippi River, Friar's Point was once the largest cotton shipping center south of Memphis. The historic port town remains the only place in Coahoma County with public access to the banks of the Mississippi River and is one of a few public access points to the river in the entire Mississippi Delta region. Friar's Point continues to be a point of interest for music and literary enthusiasts who travel the Delta. Blues legend Robert Johnson is said to have played in front of Hirsberg's Drugstore and made reference to Friar's Point in the song "Traveling Riverside Blues." The town has been written about by famous Mississippi writers Tennessee Williams and William Faulkner. It also is the birthplace of country music legend Conway Twitty. Located along Railroad Blues Park, the Tutwiler Murals depict scenes that have made the town known as the legendary home of the Blues. Father of the Blues, W.C. Handy, wrote in his autobiography that he first heard the Blues played in 1895 at Tutwiler's railroad station. A memorial tribute to Bluesman Sonny Boy Williamson is included in the murals, along with a map to his grave site. Scenes of Mississippi Delta landscapes also are included, making the murals a certain point of interest among music, Southern culture, and photography enthusiasts alike. The courthouse was designed by the Knoxville, TN, firm of Walter Chamberlin & Co. The present courthouse replaced a c.1850 courthouse that, is speculated, was designed by William Nichols. The architecture of the building itself is worth a visit. The courthouse played a significant role in the history of the Church of God in Christ. Bishop Charles H. Mason, founder, was arrested in Holmes County and jailed in the Courthouse. A memorial in his honor is displayed in the basement of the courthouse. Additionally, a historic marker recognizing Bishop Mason was erected on the courthouse grounds on October 16, 2015. The "Mother Church" of the COGIC World-Wide, St. Paul is the first Church of God in Christ established. The founder and first pastor was Bishop Charles H. Mason. The Church of God in Christ has grown to be the third largest denomination in the world. One hundred and fifty years ago, Carroll County lawyer and future U.S. Senator James Zachariah George purchased several hundred acres of rolling farmland, including a roadside inn. He enlarged the structure into a stunning Greek Revival mansion and named it for his friend, Mississippi Supreme Court Chief Justice Cotesworth Pinckney Smith. In the late 1880s, he added a landmark hexagonal library on the south lawn to house his vast collection of law books. Cotesworth and its library remained in the George family for multiple generations. In 2013, Senator George’s great-granddaughter, Katharine Saunders Williams, deeded the home and several acres of land over to the non-profit group, Cotesworth Culture and Heritage Center, which had acquired the library in 2010. "Vicksburg is the nail head that holds the South's two halves together...Vicksburg is the key"
Two statements, two Presidents, both aware of the importance of the city on the Mississippi River. President Davis knew it was vital to hold the city for the Confederacy to survive. President Lincoln wanted the key to gain control of the river and divide the South. Vicksburg National Military Park commemorates this campaign and its significance as a critical turning point of the Civil War. Glenwood Cemetery dates back to at least 1856. A simple marker is placed before a large plot near the creek designating a mass Confederate grave. Located not far from the fountain in Glenwood is a grave, surrounded by chain links, known as “The Witch’s Grave.” The legend of the Witch that burned Yazoo City in 1904 was made famous in a book written by Willie Morris, a celebrated Mississippi author. Morris’ grave is located 13 steps south of the Witch’s grave. Glenwood was voted the second "Spookiest Cemetery in the US" in a HuffPost Travel poll in 2012. Tours available. As a National Park Service partner, the Mississippi Delta National Heritage Area participates in the Passport to Your National Parks program. MDNHA passport stations are located in each of the MDNHA's 18 counties and are available through cultural, tourism, and municipal organizations. Passport stamp collectors who successfully gather stamps from all 18 counties are eligible to receive the MDNHA’s NPS Centennial Passport t-shirt as a prize for traveling the entire MDNHA. For the complete list of passport station locations, visit http://www.msdeltaheritage.com/ms-delta-national-heritage-area-mdnha-passport/. In the heyday of rail traffic, locomotives were steam powered and fueled by way of structures such as this in Lambert. The original one built in the 1800s was made of wood, but this concrete structure was built in the early 1900s and served its purpose until the mid-twentieth century when the fuel of choice became diesel. Because of the high cost of demolition, a few of these iconic towers remain in place and are often sought out by railfans for photo opportunities.